Yes you can! 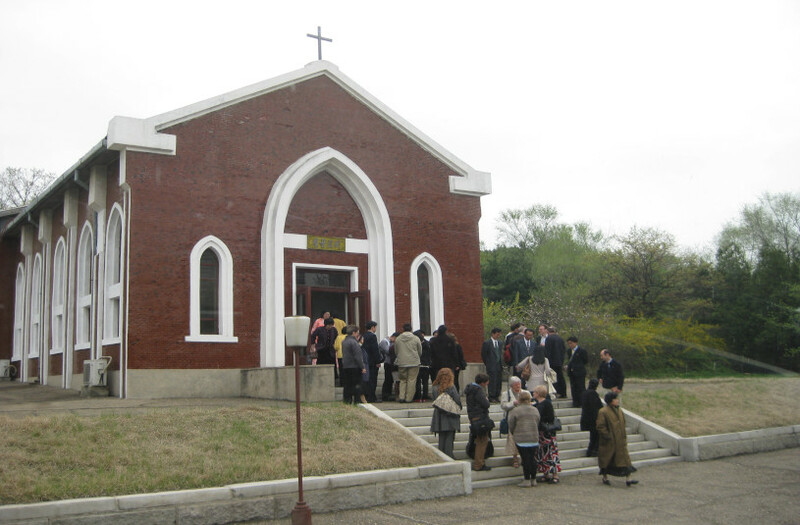 You can visit a church in North Korea’s capital, Pyongyang. During my first ever visit to North Korea as a tourist back in May 2012 my group was mostly Christians who were specially organised through Young Pioneer Tours. Our first full day in Pyongyang fell on Sunday and so the group requested to be a part of a church service at the Chilgol Church on Liberation Street in Pyongyang. As our bus pulled up, I noticed other foreigners making their way inside the church. I was able to talk to one of them; he said he and his family were tourists visiting their brother, a man working at an embassy in Pyongyang. My group and I were ushered in, we took our seats and every person were given a bible in both English and Korean. One the left of the hall sat the foreigners and on the right, the local Koreans. A North Korean priest took the stage and began his sermon. Everything was in Korean, so it was hard for me to stay focused and my mind wandered. 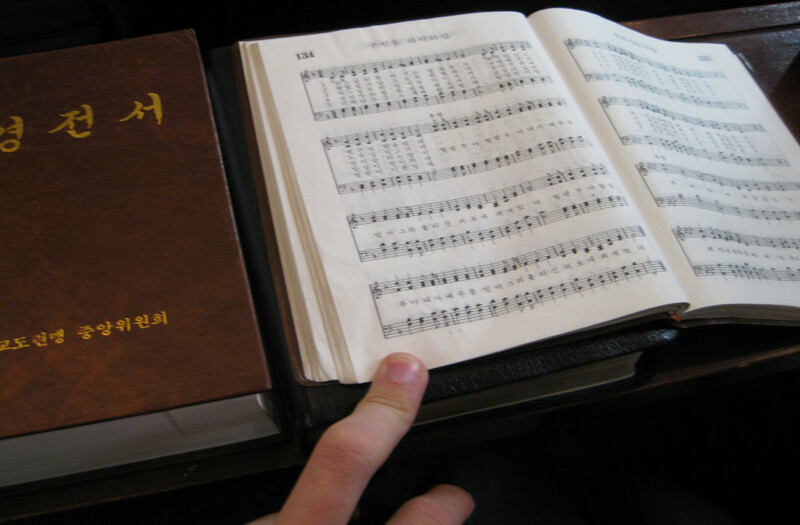 I saw Koreans to the right of me keeping their eyes glued to the bible in front of them. The Christians in my group also seemed to struggle to focus, but they were very respectful of the priest’s sermon despite not understanding it. The sermon concluded after around half an hour, and everyone stood together to sing Korean hymns. The church had its own local choir. The whole service took a little over an hour and everyone made their way out of the church to say goodbye. The Christian group said they thoroughly enjoyed it, and looking back at it, it was certainly a very unique ceremony to watch. 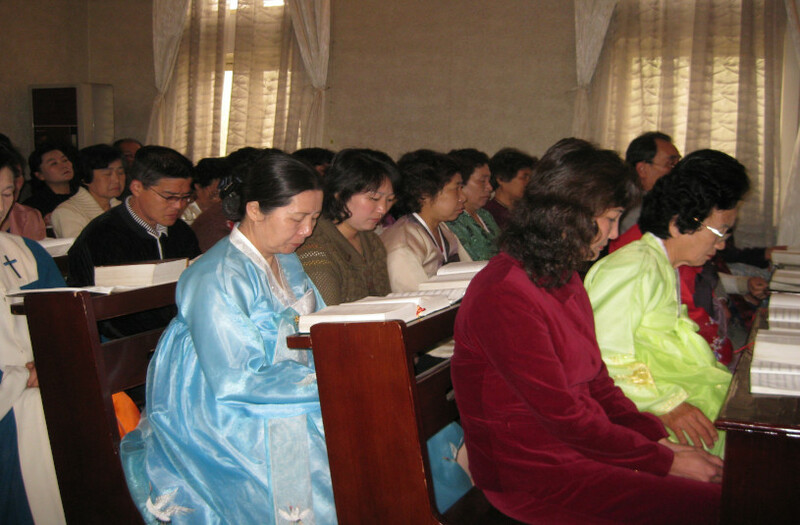 If you’d like to partake in a church service, we can arrange this for you on an independent tour to North Korea!